DIGITAL ACCENT The invention of photography 180 years ago did not mark the beginning of the end for figurative painting and drawing, and none of the subsequent advances in mechanical and digital reproduction have dissuaded artists from picking up a pencil or a brush. Despite the invention of easier and more accurate means of picture making, figurative painting and drawing persist as compelling forms of visual communication. The analogue artist in the age of digital reproduction has new tools and resources to draw on; high definition photography, image editing software, and the myriad of images provisioned by the internet are necessary studio utilities. These digital assets are a boon for painting and drawing but prolonged exposure to screens has changed the way we think about images and over the past twenty years, analogue art has acquired a digital accent. Analogue artists are consciously and unconsciously incorporating digital aesthetics into their artworks; screen-like smoothness, pixilation, high resolution clarity, the depiction of artefacts and glitches are all emergent properties of contemporary representational art. Post-digital age artworks reveal to us in their construction many of the subtle influences that digital technology is having on our perception and interpretation of the world. The artists in this exhibition work in a diverse range of styles and practices however they have key aspects in common. practitioner, these components of a work can provoke, engage and antagonise a viewer. Whitney Davis observed that certain paintings could be done on a computer, and that whether or not a computer was used in the production of the work is a “circumstantial fact”2. In principle, with a sufficiently complex robot or printing system, there need be no shade of nuance in the physical object that makes it definitively analogue. Being able to accurately render something isn’t nearly enough to make an artwork compelling. Nobody needs to paint a picture or use their hands to make any sort of image. Not in the way that we need to breathe or drink. Skill is a valuable commodity and there is a delight in the appreciation of a skillfully made work, but skill alone is boring. The salient point is that paintings made now, and the artworks in this show, could not have been made without the digital. One of the significant cultural developments of the digital age is the emergence of attention economics. When a product is given free, attention becomes the commodity. In a museum, the time the artist has spent making the work is given like a gift to the viewer. It has long been observed that visitors to museums do not linger in front of a work. Painters are well attuned to the transient relationship between viewer and image. This may be why the artists in this show feel at home making and presenting work in the digital age. Sam Leach 1 Lewis, J. (2006), Cortical Networks Related to Human Use of Tools, The Neuroscientist, Vol 12, Issue 3, pp. 211 – 231. 2 Davis, W. (2006), How to Make Analogies in a Digital Age, October, no. 117, (Massachusetts: MIT Press, Summer 2006). 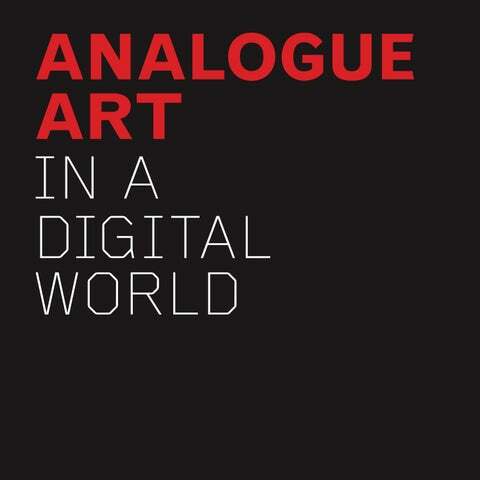 ANALOGUE ART IN A DIGITAL WORLD Curated by Sam Leach and Tony Lloyd RMIT Gallery December 7 2018 – January 19 2019 Acknowledgements Special thanks to the curators Sam Leach and Tony Lloyd for their insight and commitment to the exhibition. Warm thanks to the artists and their representatives for their ongoing support. 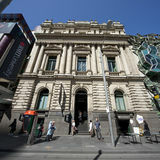 Appreciative thanks also to RMIT University and colleagues, particularly: Professor Calum Drummond, DVC R&I; Professor Paul Gough, PVC DSC; Jane Holt, Executive Director R & I; Professor Julian Goddard, Dean School of Art. Curators thanks: We’d like to thank Helen Rayment and Evelyn Tsitas for giving us the opportunity to develop this exhibition for RMIT Gallery and all the staff at RMIT Gallery in particular, Nick Devlin, for his installation expertise. We would also like to thank the artists who contributed to the concept of the show through conversation and correspondence, not all of whom could be included in this exhibition. Lastly our profound gratitude to the exhibiting artists. The idea of an exhibition that highlights the intelligence of painting and drawing is something we have been discussing for over 10 years and it is with great satisfaction that we are able to bring these artists together in this context.